Set in 1720’s this charts the story of a young girl tricked into slavery and taken to the Sultan’s palace in Istanbul, the heart of the Ottoman Empire. 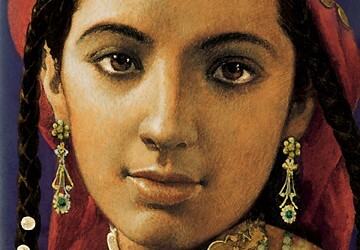 We really enjoyed the way the book balances the hardships of slavery with the security and opportunity of the harem. 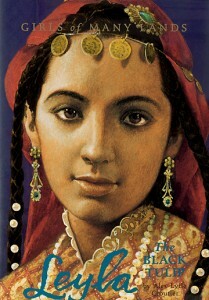 Leyla is desperately poor and the harem provides her with a living, but at the price of her freedom and family. It manages to avoid the harem cliché of women competing for the sultans’s favours and focuses on the ordinary everyday life of women in harem. It glosses over the reality of the eunuchs, but with enough details to make it realistic enough for those with some understanding – a cleverly balanced line that allows for further examination of these issues, or not, depending on your own judgement. The authors’ expertise on the harem shines through. The focus on the gardens and the tulip provide another layer of historical interest that gives the book an additional flavour.